“If Mohammad Kaif & Katrina Kaif Are Relatives ? ?” Asked Fan !! You Must See Mohammad Kaif’s Reply !! Katrina Kaif is one of the most beautiful actresses of Bollywood and has made a place for herself in the industry in a short span of time. She has a huge fan following not just in India but across the globe and her fans are always eager to know more about the actress. Soon she will be seen in Salman Khan’s “Bharat” and movie buffs can’t wait to see this awesome Jodi together on-screen again. Well, not many fans of Katrina know that her real name is Katrina Turquotte but since this surname was difficult to pronounce, the makers of her debut movie “Boom” wanted to give her a surname that could connect well with Indians. They firstly thought of Katrina Kazi but gave up the idea and as the cricketer Mohammad Kaif was a top sportsperson at that time, they gave her the name Katrina Kaif. Interestingly, the surname of Katrina’s father is also reportedly Kaif while her mother is British. 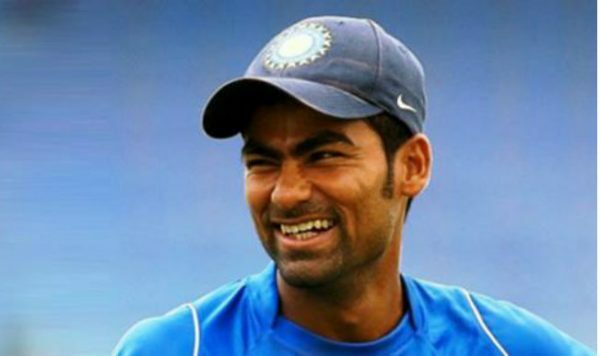 Mohammad Kaif, the former cricketer turned politician, can easily be called one of the best fielders that India has ever produced. He had performed brilliantly for the Indian team many times but his innings against England in the finals of the Natwest Trophy will always be the favorite of Indian cricket fans. He is also one of those former cricketers who are pretty active on social media nowadays. Recently he started #AskKaif session on the micro-blogging site Twitter and a number of fans naturally availed themselves of the opportunity. However, a Twitterati asked him a weird question whether he is actually related to Katrina Kaif and if not, is there a chance for a relationship between them in the future. Did anyone notice the “yet” in his response?? Tie Rakhi. Make her sister. That was indeed a wonderful reply! Let’s see how Katrina or Salman reacts over it! Previous articleThis Police Officer’s Son Thrashing Woman Mercilessly !! Horrific Video !! Next article“Even After The Film Was Ended, No One Got Up From Their Seat” Tweeted Sky Cinemas !! Comments Are Just Hilarious ! !